If you’re attending a special function, this 45 minute make-up application is ideal! 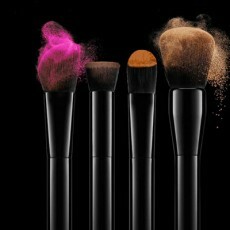 We will make sure that your make-up is the perfect finish for your look. If you need extra volume to your lashes we can apply a set of false lashes for an extra R130.00. Dark smokey eyes are not always easy to apply onto your face; this one hour application gives us the opportunity to contour and create a darker smokey wing application with liquid liner. This one hour and fifteen minute lesson will teach you how to correct and camouflage certain imperfections, such as spots / dark circles and pigmentation. 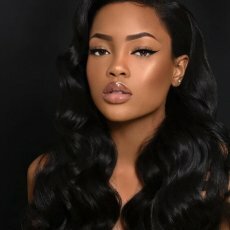 We also demonstrate and apply the corrective technique on how to contour and highlight your face. Once these important areas have been completed we will then apply all areas of a makeup lesson, ensuring you know how to apply all your make-up steps. This one hour and thirty minutes lesson is based on the make-over lesson, but offers a more “hands–on” approach. Our make-up artist will teach you whilst applying the make-up to the one half of your face, after which you repeat the application on the other half of your face. 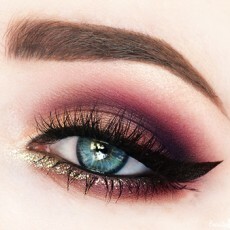 What makes this lesson a must is we teach you how to apply a day or evening look. Guidance from your make-up artist will ensure you don’t forget any part of your application. we will teach you how to Contour your face and apply a winged eyeshadow application. day make-up application on your own face. help you to apply all the necessary steps with so much information on the “why” and “how” to get that flawless look. We are the BROW GROOMING SPECIALIST, our highly trained team of experts will give you eyebrows that are arched and defined. Make an appointment and we will wax / tweeze and tint your brows to suit your facial features. Eyebrows frame the face and accentuate the eyes. But, like your skin and hair, brows can show your age. After decades of behaving, they can become sparse and patchy or coarse and unruly. And years of over-tweezing can leave brows lacking. With the proper products, brows can regain their youthful appearance and fullness.